Development of “flying cars” has been receiving attention worldwide, as they could avoid traffic jams when commuting in the city, be used for traveling in mountainous areas and remote islands, and be used for emergency medical transport after disasters. In August 2018, a Public-Private Conference for Future Air Mobility Revolution with members from the Ministry of Economy, Trade and Industry (METI), the Ministry of Land, Infrastructure, Transport and Tourism (MLIT), private companies, and experts was formed, and at its fourth meeting, in December, the conference released a Roadmap toward Air Mobility Revolution. The roadmap describes the technologies and regulations which must be developed by the private and public sectors, with the goal of businesses beginning test flights and demonstration experiments this year, leading to commercialization beginning in 2023 and expanding in the 2030s. The FPCJ has invited officials from the METI and MLIT, members of the Public-Private Conference, to speak about Japan’s strategy for flying cars. Due to the size of the venue, you must apply in advance. 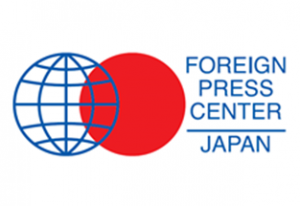 *Embassy representatives and FPCJ supporting members may also attend the briefing as observers (admission free). In principle, only one person will be accepted from each organization. If all openings have been filled, your application may be rejected. Please note that FPCJ will not reply to your application, unless NO openings are available. *No car park is available. Please use a nearby car park if you come by car.